Hi friends, welcome back to HiTricks! Here we will discuss about Facebook Cricket Home, a new feature introduced by the Mark Zuckerberg’s Facebook. Facebook has always given us new and exciting features every few months and this Facebook Cricket Home is the latest experiment from them. Facebook Cricket Home helps you to see latest cricket updates right from the facebook app. Let’s have a look at the sneak peak of this new feature and how to activate it. This feature is available on Facebook Android App from the 14th March, 2015. This feature is not yet available on Facebook Web version. The main aim of this Facebook Home is to give instant cricket score updates and latest buzz around regarding World Cup. How to get Facebook Cricket Home? Let your News Feed load properly. On the top of refreshed content list, you can occasionally see the cricket updates heading showing up. It will contain the latest score updates from Facebook. Click on Add to Bookmarks Check Box to add it to bookmarks so that you can visit it when you wish. Now you will get a dedicated Facebook Cricket Home tab on your bookmarks on Facebook app. It will show up in the right menu bar. Click on it and you can finally see the all new Facebook Cricket Home. It will show the currently running cricket matches on the top that are live. You can also see what your friends and others spoke about the world cup and the current matches. The facebook cricket home feature is new and innovative, but please note that the version is now in beta stage and currently has some limitations. For now it only shows the current scores but is not showing the details of the match scores. No information can be found regarding which batsman is now on the strike and who is bowling etc. Hope Facebook will work on it and finally deliver a fantastic facebook cricket home for us that is equally efficient to forget other sports update apps like crickbuzz or star sports. Anyways we must salute the whole Facebook Team for providing us this grand feature which will help people get the scores on the go! We are waiting for more works done by Facebook on this sector and we will be publishing the future updates regarding this. Thank you all for reading this article. Do share it if you like. It helps us to grow. Keep visiting HiTricks. 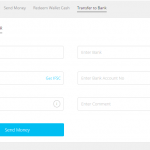 How to transfer PayTM Cash Wallet Balance to Bank Account? 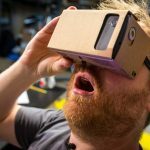 What is Google Cardboard? How it works? Who Unfriended Me on Facebook? Find out Now. How to Stream Facebook Live Reactions Poll in Real-Time?